Got mental health? Everyone has it, including those with a mental illness, and everyone can improve their mental health. It is the foundation that supports learning, healthy development, and the ability to deal with life’s challenges. Promoting positive mental health for all students and staff involves the whole school community. Working together as a school team is an essential component to supporting mental health. Bringing your wellness team together to attend this session is strongly encouraged. 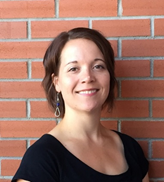 Norah Fines is a Health Promotion Coordinator from Alberta Health Services with the Healthy Children and Youth Team. She has been working in health promotion for over 10 years, and has a passion for supporting healthy school environments. This session is brought to you in part by Alberta Health Services.